1. What is the average cost of dog insurance? 7. How can I reduce the cost of dog insurance? Home > News & Resources > What Does Dog Insurance Cost? 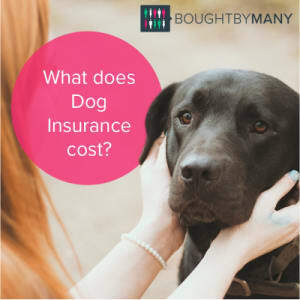 We've calculated the average cost of dog insurance in the UK and reviewed the 5 factors that influence it. If you've spent any time looking online for dog insurance quotes, you will have noticed that the cost can vary a lot. 10% of dog owners who choose our Value pet insurance paid £8.66 or less a month between April 1 and September 30 2018. What is the average cost of dog insurance? The average annual premium for pet insurance costs UK dog owners £287 - equating to just over £23.90 per month, according to Consumer Intelligence data from quotes between May 2017 and May 2018. Research company Mintel gives a slightly higher figure of £324 for annual premiums in 2017, based on data from the Association of British Insurers. But you might pay much more or less than this, depending on 5 factors that influence the cost. The difference in premiums can be vast. Some companies may charge the owner of an older Great Dane over £100 a month but owners of younger crossbreeds can find accident-only cover for under £5 a month. Across all of our dog insurance policies, we found that 10% of customers who bought a policy between May 2017 and May 2018 paid £10.41 or less a month, or £150 or less a year. Prices for many policies are likely to increase as your dog gets older, whether you claim or not. Premiums for dogs over seven can be five times more than for a dog aged one or two. However, we've created a policy that will never increase in price, even if you claim. 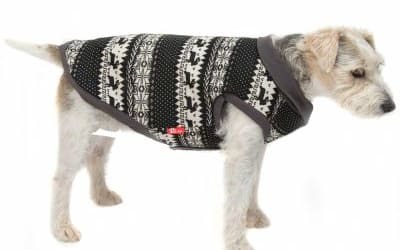 It is only available to buy for dogs aged under two, but once you have it you'll never have to worry about your monthly or annual price going up. Join our Fixed For Life group to find out how much your cover will cost. Bought By Many also has a members-only exclusive deal offering 32.5% off More Than dog insurance. Find out more here. Time limited dog insurance is the next cheapest type of dog insurance. It's a basic policy designed to offer some financial help with vet bills if your dog needs treatment for a short-term illness. Importantly, the costs usually only cover a 12-month period, and if your dog's medical condition recurs, this type of insurance won't pay out. Time limited dog insurance typically costs around £15-£20 a month on average. Time limited policies may have names like "Essential" (Petplan) and "Basic" (More Than). Per condition dog insurance (also known as Maximum Benefit) doesn't impose any time limit but instead caps the total amount you can claim for any one medical condition that affects your dog. This cap is often around £4,000 or £8,000; and the higher it is, the higher the monthly cost will be. Per condition dog insurance usually costs more than Time limited dog insurance. More Than Classic is an example of a per condition pet insurance policy. Lifetime dog insurance is the most expensive type of dog insurance, but also provides the most comprehensive cover. Lifetime (or ‘yearly limit’) insurance covers vet fees up to the stated limit every year. This can be a good option if you worry about your pet developing a long-term or recurring illness. So long as you renew a lifetime policy each year, the level of vet fees will reset to the full stated limits that you started with. Lifetime pet insurance covers most vet treatment your dog needs during its lifetime, up to a pre-determined amount. Lifetime pet insurance usually costs from £13 to more than £80 per month, depending on the other factors. Pet insurance companies sometimes refer to lifetime pet insurance by different names, such as "Covered for Life" (Petplan), "Lifelong" (Pet Protect), and "Long Term Cover" (John Lewis Finance). All time-limited and lifetime dog insurance policies have a maximum amount that they will pay out - this could be as low as £1,500 for the cheapest time-limited dog insurance policies, or as high as £15,000 per year for the most comprehensive lifetime dog insurance policies. Bought By Many has created a range of products that include features no other insurers include, such as no price increase, money back if you do not claim, cover for pre-existing conditions and the most comprehensive policy on the market - it includes dental cover as standard and £15,000 of vet fees cover. The cost of these reflect the unique benefits we offer. We've also launched an inexpensive Liability Only policy that costs £13 a year on average, depending on the size of your dog. If you prefer to budget for vet fees rather than buy pet insurance, you may want to consider a liability policy. It is cheap but covers claims that may result from your dog injuring someone or damaging their property, which can run into thousands of pounds. Your home address can have a big impact on the price you pay for dog insurance. This is to do with variations in the costs of vet treatment in different parts of the country. Typically, dog insurance is cheaper outside London and the South East of England. Generally the cost to insure a one or two year old dog is much less than the cost of insuring an older dog. In fact, it may cost more than 10x as much, particularly if your dog is over 8 years old. It is also common practice for pet insurance companies to ask owners to pay between 20% and 35% of the cost of any claims for dogs aged over 9 years old. Most of our policies are available for dogs of any age and we ask owners of older dogs to cover 20% of any claims. We have a group for older dogs and a policy called Fixed For Life that is only open to dogs under two but it will never increase in price as your dog gets older. Many people see the cost of their dog insurance increasing over time, and feel that the insurance company is acting unfairly - but higher costs for older dogs reflect the fact that visits to the vet are an inevitability rather than a risk. In these circumstances, some owners opt for 'self-insurance' by paying a fixed amount into a savings account each month, so that there is a reserve to draw on if their dog gets sick, instead of continuing to pay the insurance premium. A quirk of pet insurance companies' pricing is that dogs are slightly cheaper to insure at age one than when they under the age of one. This is because the probability of making a claim for vet treatment is slightly higher in the first year of a dog's life than in the second year. Mixed-breed dogs and mongrels are cheaper to insure than pedigree dogs. Meanwhile, the cost of pedigree dog insurance varies significantly between breeds. You can insure a toy dog such as a Chihuahua, Shih Tzu, Yorkshire Terrier, or Maltese on a time-limited policy for around £9 per month on average. Working terrier breeds - such as the Jack Russell and Border Terrier - generally have robust constitutions and are about £9.70 per month on average. Again, these costs would be for a basic, time-limited policy. At the other end of the spectrum, larger dogs are more expensive to insure: a German Shepherd Dog costs from £8 per month to insure, a Boxer from £10 per month and a Siberian Husky from £11.20 per month. Dogs with a propensity to develop breed-specific medical conditions also tend to be more expensive to insure: insuring a Basset Hound costs from £8 per month, a while the dog insurance cost for a Bulldog is around £15.50 per month on average. This has a big influence on the cost of dog insurance. Market leaders such as Petplan, John Lewis Finance, and More Than's dog insurance policies offer up to £12,000 of vet bills cover, as well as enhanced cover for public liability, theft, straying, dental treatment, and even alternative therapies. Bought By Many's Complete policy is the most comprehensive on the market and includes up to £15,000 of vet fee cover each year. Our other policies offer unique features such as money back if you do not claim and cover for pre-existing conditions. Find out more about them and get a quote here. At the other end of the spectrum, newer pet insurance companies like ProtectYourBubble and Helpucover have started offering very cheap dog insurance for people whose priority is to keep costs down. Bought By Many offers a Value policy and affordable Liability Only cover. How can I reduce the cost of dog insurance? But not all companies allow you to change the excess payment. Opting for a higher excess typically reduces the cost of dog insurance by 10% to 15% - but it does mean you need to make a bigger contribution to the costs if you need to claim. Many dog insurance companies also offer multi pet insurance discounts to help people who want insurance for more than one dog to control their costs. Bought By Many has a 15% discount for pets on the same policies. We've listed some of the best multi pet discounts, cheapest pet insurance policies and cheapest pet insurance companies. How much is pet insurance for a....? If you're looking to find out about the cost of insuring a cat, read our article on the cost of cat insurance. All example quotes are accurate as of December 2017, and are made using an MK postcode, unless stated otherwise.